We rarely give any thought to the story behind the Christmas tree we buy — who started the tradition, what does it mean, let alone how a beautiful living organism becomes a temporary feature in our home. 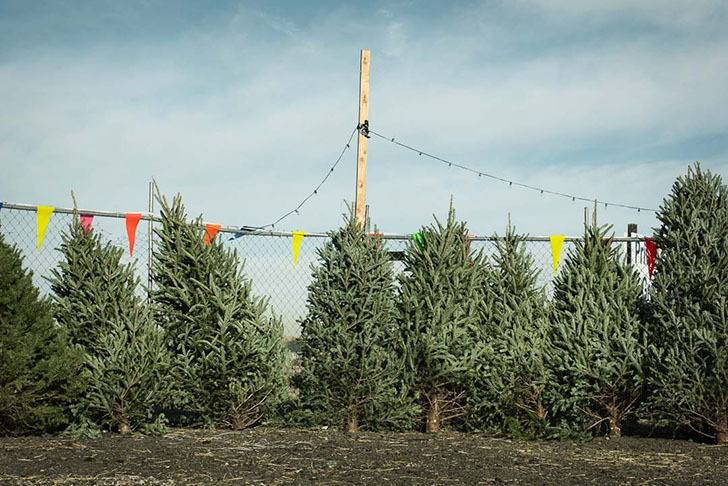 “Lots of Trees” by photographer Jamie Kripke documents a small evergreen business in the US, capturing the story of a historic tradition turned into a commercial display that leaves behind a lot of waste. Ancient Egyptian, Roman and Chinese cultures once saw evergreen trees as symbols of eternal life, and Scandinavians placed them inside — or just outside — their homes to express hope for the forthcoming Spring. Based on these early traditions, an ingenious New York’s Catskill farmer brought a couple of evergreens into the city back in 1851 and sold them all in no time. By 1900, one in five American families had a Christmas tree at home, and twenty years later they were commonplace all around the US. Nowadays most of these trees grow on very large tree farms located around the country – particularly within Oregon, North Carolina and Michigan – taking 10 years to achieve 7 feet. Each year around 30.8 million live Christmas trees are purchased in the US and the market value is approaching $1.07 billion. 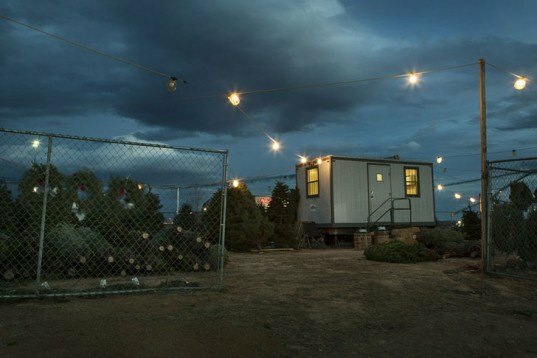 Kripke’s “Lots of Trees” series documents the less than joyful side of one particular small business, inspiring viewers to think green when it comes to their trees. We recently featured some great sustainable tree alternatives, including those made from recycled materials and even more high-tech options that come adorned with LED lights, so this Christmas (or the next if you’ve already got a tree) there really is no excuse not to go green with your tree! Ancient Egyptian, Roman and Chinese cultures once saw evergreen trees as symbols of eternal life, and Scandinavians placed them inside -- or just outside -- their homes to express hope for the forthcoming Spring. Based on these early traditions, an ingenious New York's Catskill farmer brought a couple of evergreens into the city back in 1851 and sold them all in no time. By 1900, one in five American families had a Christmas tree at home, and twenty years later they were commonplace all around the US. Nowadays most of these trees grow on very large tree farms located around the country – particularly within Oregon, North Carolina and Michigan – taking 10 years to achieve 7 feet. Kripke’s “Lots of Trees” series documents the less than joyful side of one particular small business, inspiring viewers to think green when it comes to their trees. We recently featured some great sustainable tree alternatives, including those made from recycled materials and even more high-tech options that come adorned with LED lights. This Christmas (or the next if you've already got a tree) there really is no excuse not to go green with your tree — there are plenty of sustainable options to be had!